During the reign of Constantine, Britain had enjoyed the rule of someone with an unusual gift for organisation and a charisma not seen since the days of Julius Caesar. Following the death of Constantine in 337, a period in history came to an end. A period the Roman Empire would never see again. He had ruled the Empire well and also his own family. In no time the imperial family began a series of internal battles which culminated in the murder of many members. Disobedience broke out in many provinces. In Constantinople would only accept assignments of new rulers if they included at least one of Constantine ! "s sons. Constantine II, the former emperor's eldest son had held the rank of Caesar almost since he was born, which illustrates how far the Roman customs of promotion and selection had reverted to their old ways. Britain, so far away, had no escaped the backlash. For three months the island had not been subjected to an Augustus until Constantine II personally took control. He also managed Spain and Gaul, while his brother Constans held Italy and Africa, and Constantius II controlled the east, with all three adopting the rank of Augustus. Even amongst this family there were squabbles. Constantine II wanted to control the heart of the Empire and so invaded Italy in 340. This was a huge mistake which resulted in his defeat and death at Aquileia. The reverberations of this were felt deep within Britain where the regime had remained constant for nearly fifty years. In that time the province had remained free of war, so it was a great disaster that the governor of the island had been killed in battle in Europe. 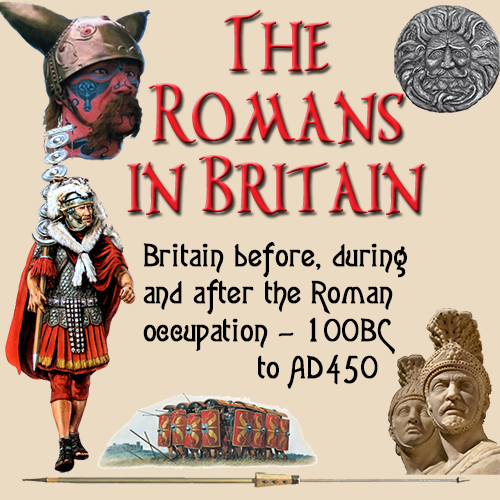 Constans came to Britain in the winter of 343, which was unusual as this was the time the channel was at it ! "s most unpredictable. His first action was to bring the army up to strength as it had been depleted in the fighting abroad. We suspect that there were raids by savages from the north at this time who realised the potency of the military was much lower than normal due to decreased numbers. Following this he made his armies into smaller units. The structure was now to have one central unit under the authority of a field commander, with the smaller units attached to it, each having a sub commander. Along with this he created smaller divisions made up of temporary soldiers. There is little known about the way in which these troops were deployed. What we do have knowledge of are specialist units were created in 367 and sent out to infiltrate the tribes that surrounded the provinces and spy on them to gather information about their movements, plans and intentions. Three forts, Risingham, High Rochester and Bewcastle were damaged by fire in 367 and this may have been the reason these units were set up. It had become necessary not only to know thine enemy, but also his inner thoughts. The southern defences at Richborough and Porchester had their garrisons strengthened too along with indications of increased activity at this time.